How do I get more Deliveroo shifts? UPDATE: Ok so they have just updated the whole booking system from Monday 16 October. Now, all bookings are made through the app (which is sooo much easier). You can book hour shifts from Monday at 15:00 (earlier for more dedicated riders) through the app for the following week. You can also select these shifts to be repeated, or just do them as one-offs. This also means you can now book shifts in any area you like, not just the one you were assigned to. if you want more shifts then you have to apply for them. You can do this through staffomatic or send like a thousand emails to Deliveroo until they reply. You have two different shifts: the repeat and instant. The repeat shifts are hard to get because they are permanent and you will always have them. To get these shifts you will need to get in touch with Deliveroo by sending them lots of emails. After a while, they should get back to you and you’ll have these shifts every week. The instant shifts can be gotten by applying for them on Staffomatic. These shifts appear in green and have a number next to them showing how many spaces are available. You will need to frequently check Staffomatic if you want to apply for one of these. 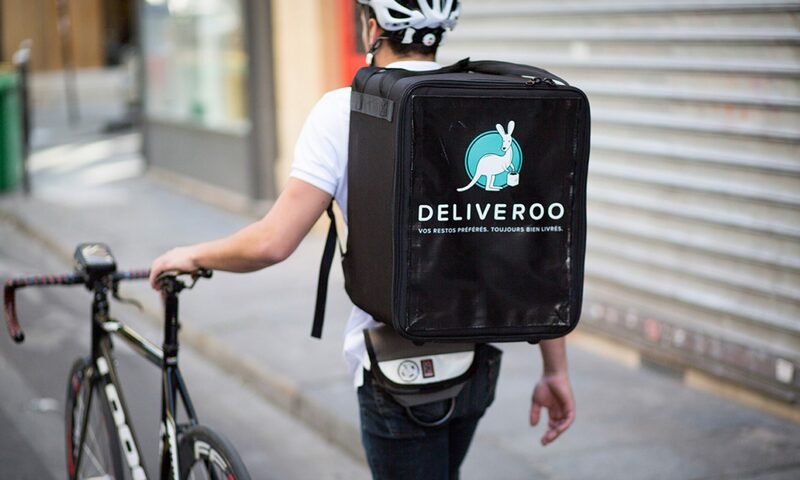 Do you still get paid if you get no Deliveroo deliveries? If you’re on the pay per hour system, then you’ll get paid £7 per hour no matter how many orders you complete. The first shift I did, I didn’t get a single order. But…on the pay per drop scheme you’re only being paid for the orders you complete. So if you don’t do any orders, then you ain’t getting money. This has caused quite a lot of controversy, with many people claiming that they’re now being paid less than minimum wage. A documentary was made by BBC 3 on Deliveroo and the ethics of the gig economy. Watch it on youtube. I personally think that Deliveroo is not designed to be a full-time job, more of a flexible side-job. The most important thing is that you can sign on whenever you like and earn some cash, and so it’s understandable why Deliveroo doesn’t want to be paying loads of riders just to be sitting around. The only times where you can make good money are at meal times, which is when most people have finished work anyway, and so it works well as a side-job. As soon as you start trying to work full time, you’ll realise that you won’t be able to make much at conventional times (such as mornings and afternoons). It also encourages the system to become more efficient, and rewards riders to complete deliveries faster so they can earn a higher “per-hour” equivalent. The most I’ve earned was £16 per hour, which is actually extremely good and does average out for the day. If you look at any other bike messenger company around the world (e.g city sprint or Absolutely) you can see that they’re on a pay per delivery basis as well (a much lower fee of sometimes £2.50 per delivery). This means that it’s completely normal for a delivery company to use this sort of pay system, and if it’s worked for them, why shouldn’t it work for Deliveroo? What Deliveroo shifts earn the most? The peak shifts for Deliveroo are always in the evening. Also the weekends get pretty busy, and you can expect to get quite a few deliveries throughout the day.